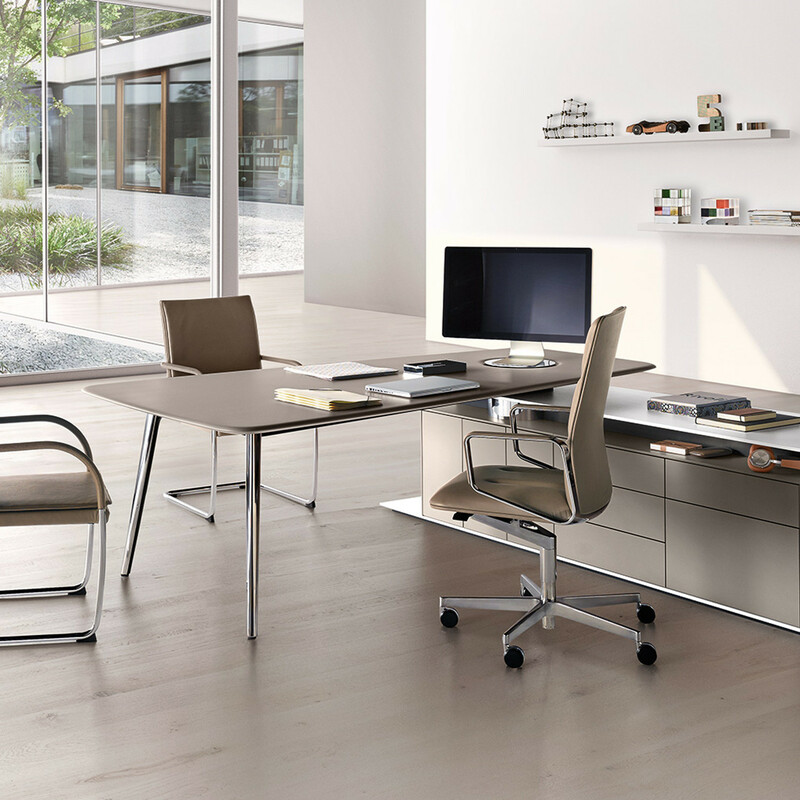 Keypiece Communication Desk offers a comprehensive multipurpose solution for the demands of a high-end executive office. Ideal for focused task-based working or important meetings, the Keypiece Communication Desk is adaptable and flexible. Working, consulting, meeting, video conferencing – this is a design that meets these demands head on and with style. Moreover, there is generous space for requisite technology such as desktop PC, laptop and tablets. 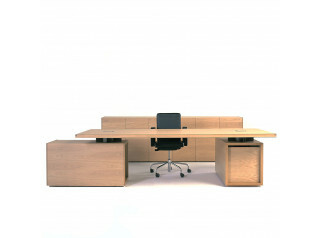 Choose from the two different versions: Classic or Executive Keypiece Communications Desk. The media hub offers connectivity which is concealed to maintain a clean aesthetic. The turntable on top closes the cable tank and makes it possible to turn the presentation screen. Cabling is routed via the media hub which is invisible right down to the cable outlet in the floor. Also concealed discreetly in the corpus: sockets and loading stations. The Keypiece Communication desk’s surface design creates the elegant appearance of floating desktop, above the base and container. Expansive and space-saving at the same time: Keypiece Communication Desk is multifunctional, meaning that important meetings can be held without the need for an additional office meeting room table. 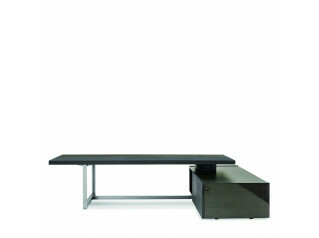 View more furniture from Walter Knoll. You are requesting a price for the "Keypiece Communication Desk"
To create a new project and add "Keypiece Communication Desk" to it please click the button below. To add "Keypiece Communication Desk" to an existing project please select below.